One of the most severe and traumatic injuries that can occur to a person is one involving the spinal cord. We unfortunately see a number of these cases each year. If you have suffered a life-altering injury as a result of someone else’s negligence or reckless behavior, you need to contact a Columbus spinal cord injury attorney at Heit Law, LLC. We will ensure that you correctly file spinal cord injury claims and are rightly compensated for your dramatic injury. Our legal professionals will work with you to file your claim and seek damages based on your injury. Car Accidents — According to the American Association of Neurological Surgeons, automobile accidents are to blame for more than 50% of all spinal cord injuries. Devastating car accidents are unfortunately part of everyday travel on US roadways. If a crash has led to spinal cord issues, contact the legal professionals at Heit Law, LLC. Falls — Another large cross-section of spinal cord injury comes as a result of accidental falls. These can be falls down stairs, off a ladder or from other heights. Though not commonly caused by someone else’s negligence, there are instances in which negligence does play a part in falls. Medical Accidents — Some medical procedures can leave you paralyzed from damage to the spinal cord. If this applies to your case, there are legal avenues that an attorney at Heit Law, LLC can help you pursue to receive compensation. Medical Bills — The subsequent medical procedures that follow a severe injury are costly. If you were injured as a result of another party’s negligence, you can receive spinal cord injury compensation for the expenses you paid for your medical bills. Future Medical Care — With a substantial, sever injury like damage to the spinal cord, your expenses will not end with initial treatment. You will likely need further rehabilitation and medical care. Lost Wages and Earning Ability — After such a dramatic injury, your life will not longer be the same. This includes your ability to earn a living. 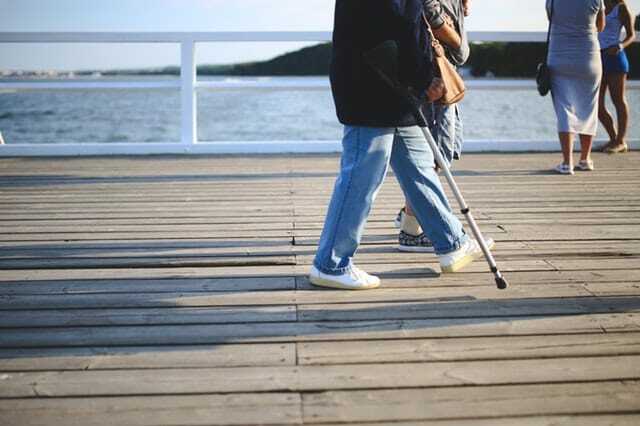 We will seek spinal cord injury compensation for current lost wages as well as your diminished ability to earn a living following the injury. Physical Pain and Suffering — We can seek damage for the extensive suffering that you had to endure following your injury. Loss of Consortium — The loss of companionship affects more than just the injured person. Their diminished quality of life has an effect on those closest to them. We can seek damages to compensate the loss of consortium following your spinal cord injury. When an accident occurs that results in catastrophic spinal injury due to the recklessness or negligence of another person or entity, it is imperative that the victim receive spinal cord compensation for the medical bills and loss of quality of life. The personal injury lawyer in Columbus, Ohio at Heit Law, LLC will tirelessly pursue compensation on the behalf of any spinal cord injury victim.